The Cozzia Feel Good Model 16027 Massage Recliner features three partial massage programs and five specialty programs for users to choose from, as well as two Zero Gravity positions that elevates the knees, keeps the spine parallel to the ground, and eliminates vertical pressure on the vertebrae to heighten relaxation during use. An S-shaped back rest and automatic zero-gravity recline function add to the comfort and convenience of this premium massage chair. Healthcare Program: A total body massage which defaults to a strong and intense massage similar to a deep tissue treatment. However, the strength and intensity can be adjusted to meet your preferences on ANY of these programs. Relax Program: A more gentle massage routine than the Healthcare Program, with a focus on the neck, shoulders, and upper back utilizing light tapping and vibration. 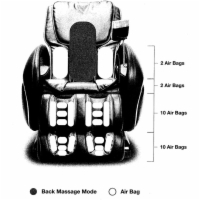 A gentle lower body air pressure routine accompanies the upper body massage. Therapy Program: A happy medium between the Relax and Healthcare Programs. Focuses on upper body massage with only light and subtle air pressure in the calves and feet. Circulation Program: Light Swedish-style strokes and a slow, gentle progression of vertebral massage are the hallmarks of this routine. The massage chair periodically adjusts its recline angle during this routine to enhance your blood circulation as the chair does its magic. 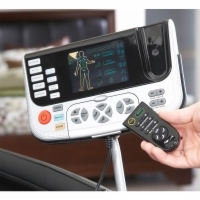 Finally, there's the Smart Program, which scans your body's dimensions and auto-adjusts the foot rest position and recline angle to custom-fit your needs. This massage program typically defaults to high strength and high intensity, with little variability allowed. We recommend that users familiarize themselves with the location of the stop-sensors in the foot rest - you'll want to exert pressure at the point beneath your heels as the foot rest adjusts to ensure that it maintains a suitable angle for your comfort preference. Individual massage functions include Tapping (2 modes), Clapping (2 modes), Shiatsu (2 modes), Rolling (1 mode), and Swedish (2 modes). Each function has adjustments that, depending on the particular function, include speed and width adjustments. Except for the Rolling function, all functions can also be put into Spot and Partial modes where you specify the exact location or range of the massage. Call our furniture specialists today at 1 (800) 790-4792 to order your Cozzia Feel Good 16027 and experience unparalleled comfort and luxury in your very own home. Pagetrader from Las Vegas would recommend this to a friend. This chair gives a more powerful and deeper massage than many higher-priced chairs I have tried. This is especially true from mid back up to your shoulders and in your calves. The stretch program is wonderfully satisfying! 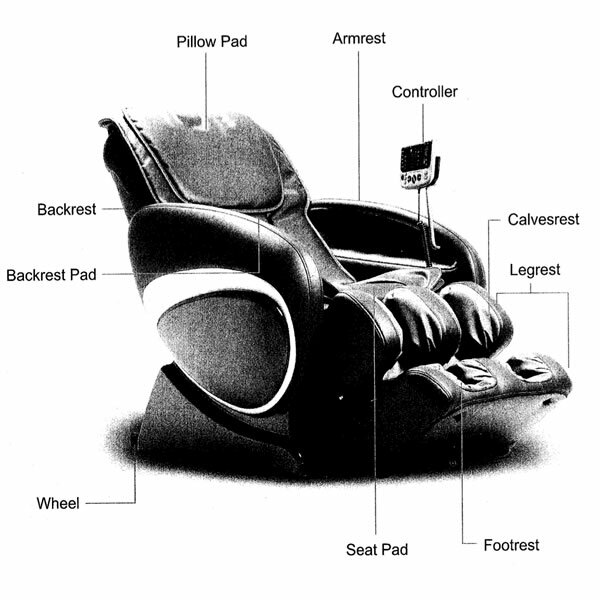 The massage intensity can be adjusted for each user. The massage rollers and actually reach the top of your back and shoulders and massage that area very effectively. Many higher-priced chairs utilize a special pillow to try and massage the shoulders but they do not work anywhere as well as this chair. Overall, I am very satisfied with this purchase and would definitely recommend it to a friend. An Excellent Overall Massage Chair For Home Users! Richard the Copywriting Savant from Raleigh, NC would recommend this to a friend. 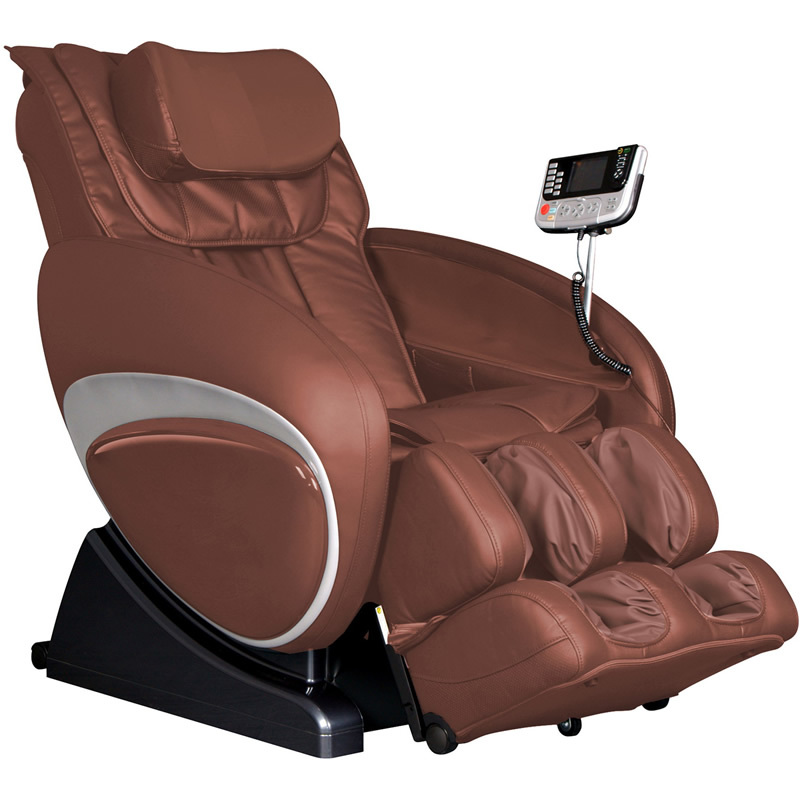 The Cozzia Feel Good 16027 provides a great blend of functions with enough massage variations to accommodate your immediate needs for relief depending on what your problem areas are on any given day. The chair scans the user every time it powers up to make sure it is properly adjusted to your height. Smart Mode is very intense. 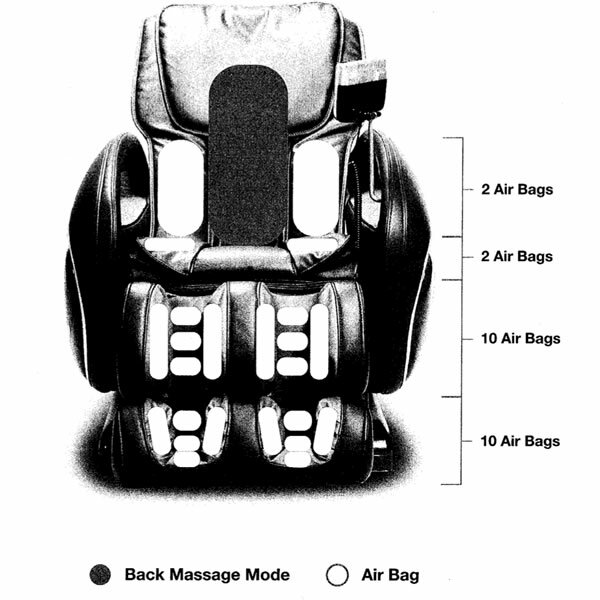 I generally prefer Swedish massage to deep tissue, and the air pressure the chair exerts in the lower body (the calves in particular) is uncomfortable to the point of being painful. Your preferences may vary - but this is the one function that holds me back from giving the chair a five-star rating. Can't comment on these, obviously, but I will say that setup is very easy - all you have to do is insert four screws to attach the side panels (just don't drop the hex wrench into the chair!) and secure one lockpin bolt. It took a mechanical dunce like me less than an hour to finish, and all the tools you need to assemble the chair are included! 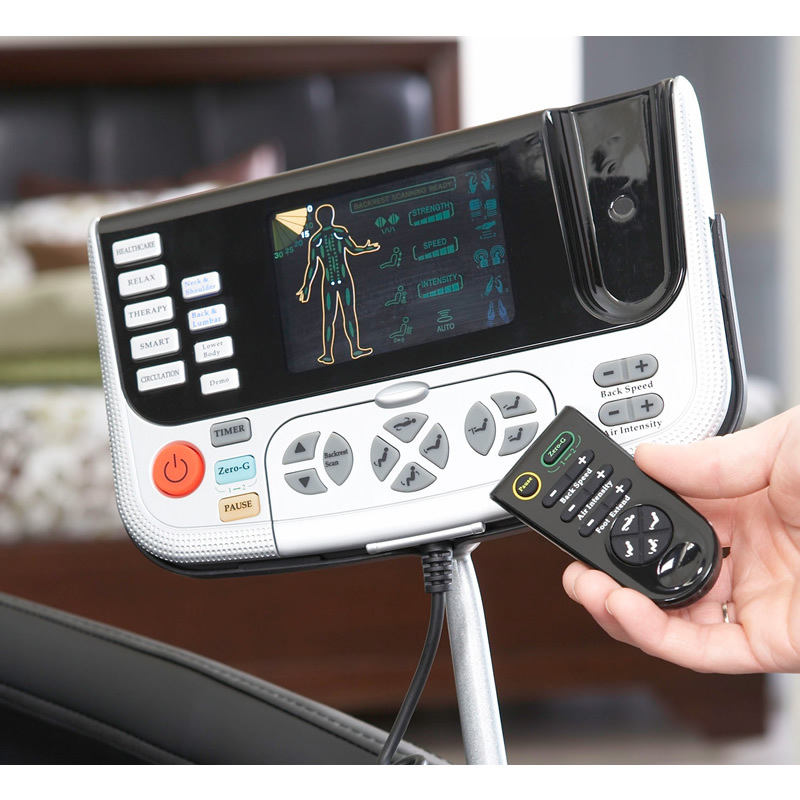 The all-function Demo Mode and four specialty routines (Healthcare, Relax, Therapy, and Circulation) are great. I'm already plotting how to convince the boss to let me go do more product research on the demo unit we have in our warehouse!